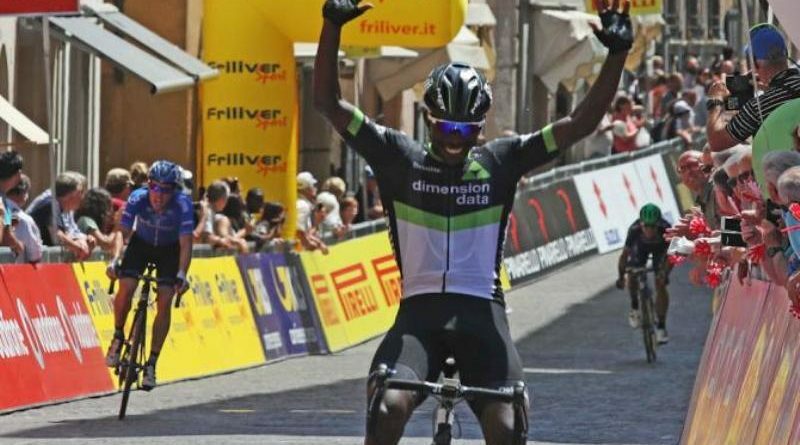 This month, Valens Ndayisenga claimed a record-equalling fifth stage win of the Tour of Rwanda, while behind him; Joseph Areruya crossed the line to secure his first overall win. The final stage, a 120km jaunt around the capital over ten laps, sent the Rwandan fans into raptures with the dual success of the country’s two bright young talents. For the 2.2 race, this year’s Tour of Rwanda was also an end of an era. First held in 1984, the race was elevated to UCI status in 2009 with a November time slot. In 2018, the race moves to August and then from 2019, it will be upgraded to 2.1 statuses, with its time slot likely to be in February or March. The remarkable story of Rwandan cycling is intrinsically tied to the national tour. For the land-locked east African nation, cycling has been a tool of national healing, providing hope and opportunity when all seemed lost in the 1990s. The final 20th-century edition of the race was won by Faustin M’Parabanyi in 1991, one of three Rwandans to ride the 1992 Olympic Games road race before cycling became of little interest to a country caught in the throes of civil war. The race resumed in 2001 with Bernard N’Sengiyumva taking the overall victory, the first for a Rwandan riding under the new blue, yellow and green flag. Four consecutive wins then went to Abraham Ruhumuriza, followed by a win by Kenyan Peter Kamau in 2006. Ruhumuriza took his revenge the next year with Adrien Niyonshuti winning the final non-UCI edition of the race. At UCI level, the Rwandans would find overall victory an elusive goal with the higher level of competition favouring the foreign riders. In 2009, Moroccan Adil Jelloul wrote his name into the record books as the overall winner. The following year, the race was won in commanding style by Eritrean Daniel Teklehaimanot. Not only did Teklehaimanot take a stage and overall victory, a week before the tour, he had won the team time trial, time trial and road race at the African Championships in Kigali. 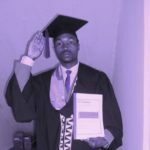 Despite the early success of the foreign riders once the race went to UCI level, the tide turned to Rwanda in 2014 when Ndayisenga became the youngest winner in the short history of the race. 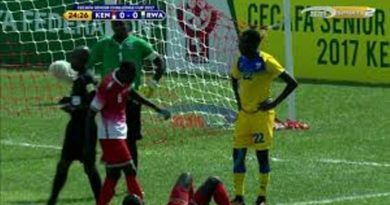 The then 20-year-old started a run of wins for Rwanda, which extended to four straight with Areruya’s recent triumph. The overall wins for a new young generation of cyclists has ensured the ongoing support of a cycling-mad nation, Such is the fervour attached to the race that there is no live broadcast of the stages during the week due to the belief that productivity would take a hit: tools would be downed and work would stop, with the eyes of the nation glued to the television. The result of the lack of a live broadcast is a parcours that features barely a 100-metre stretch of road without a gaggle of fans. For the race, the roadside spectators are a major draw, emblematic of the love and passion for cycling in Rwanda, equal to that for the Grand Tours and monuments in Europe. In the 2017 Edition of the race, over half of the stages were won by Rwandan riders, with Areruya also winning the best Rwandan rider and best African rider classifications. The top eight overall featured five Rwandan riders. While celebrating the success of riders such as Jean Bosco Nsengimana, Ndayisenga, and Areruya as the three Rwandan winners of the race, Rwandan cycling federation president (Ferwacy) Aimable Bayingana explained that the decision to move the race to 2.1 status is designed to introduce a higher level of racing. It will also challenge the local riders to increase their level and prove themselves against World Tour and Pro Continental teams in their own backyard. “We are going to upgrade the Tour of Rwanda because we have seen that the Tour of Rwanda is a good race,” Bayingana explained in Huye. “It is a hard race but it lacks the participation of big teams. So to upgrade to 2.1 is to enable the big teams and clubs to participate in this tour and give it more visibility and exposure. That is why we decided to upgrade to 2.1 in 2019 and in 2018 we are going to bring the Tour of Rwanda to August to make some difference before 2019. 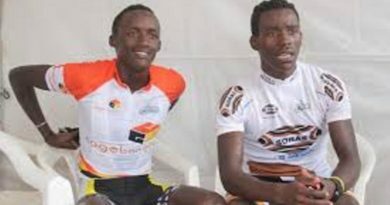 Acknowledging that Rwanda’s grip on the yellow jersey will be loosened by the change, for Bayingana “it is important to have a big rider win here” and continue the development of cycling so that home success can be parlayed onto the international stage. For now, the Tour of Rwanda has only been a race for the country’s male riders. On the afternoon of stage six, Bayingana explained that he and the federation would back a women’s tour but it will require the support of its African neighbors to ensure a competitive event. For a country with one of the highest rankings on the gender equality index, and one of two countries with a female majority in its parliament, a women’s tour is crucial in ensuring the story of Rwandan cycling is all-inclusive and does not exclude half of the population. For a country where many of the wounds of the 1994 genocide have been healed by the bicycle, a pathway for women to express their athletic talent and tell their stories of the past cannot be underrated. While there has been support for Rwanda’s female cyclists through FERWACY and the Africa Rising Cycling Center, UCI level event would raise the standard. The majority of the Tour of Rwanda’s backing has come from the government, but Skol has been one of the key sponsors of the race since 2012 and, like several other sponsors, its financial contributions help underwrite the racing bill. The likes of Cogebanque, Rwanda Tea, Rwanda Motorcycle Industry and Rwanda Foam are also major backers of the race. In 2017, the race budget was Rwf500 million, an increase of one hundred million from 2016, but the increase was partly due to fluctuating foreign exchange rates. 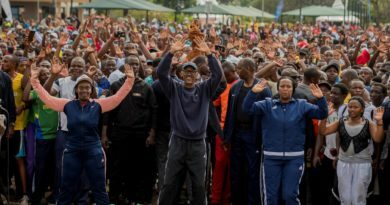 Having attracted new major sponsors in recent years and still backed by a committed ministry of sport, Bayingana has no qualms regarding the financial future of the event. The investment into the race is also an investment in Rwandan cycling, with the aspiration of growing and developing riders capable of winning at 2.1 status and ensuring the crowds can continue to cheer their heroes. For Skol, the sponsorship of the race is not its only investment in cycling. Riding ahead of the race each day is a handful of talent-scouted young riders, resplendent in the yellow and red Skol kits, a reminder for the fans that their dream of pursuing a career in cycling is achievable. On each stage of the race, Skol gives away a bike and a ticket to ride in its helicopter. Its presence in Rwandan cycling also includes the season-long Rwanda Cycling Cup. After committing to extending its deal with the race last year with a further four-year contract worth US$120,000, Skol’s investment in the Tour of Rwanda has assisted in it becoming the number one beer in Rwanda. Although the deal has certainly assisted its commercial directive, Skol’s commercial director, Mathias Bekangba has previously spoken of the company’s social responsibly and importance of giving back through its support of sports such as cycling. The investment of Skol is also indicative of cycling’s pull and attraction in Rwanda. A model of success for other multinationals looking to invest in a youthful country still rich in cycling potential. The ambition of Ferwacy is also to medal at the championships, adding to Jeanne D’arc Girubuntu’s time trial silver medal in 2016. In April, Rwanda will then field a squad for the men’s and women’s road events at the Commonwealth Games. It’s third participation at the quadrennial event, having joined the Commonwealth in 2009, and first with a women’s cycling team. Following the success at the Tour of Rwanda, both events will be important pointers for Rwandans and their ability to hold their own and have an effect on the outcomes of larger international events. 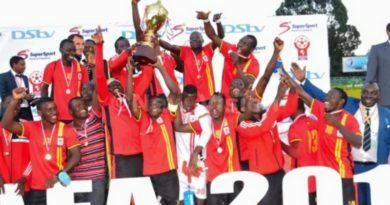 There is also great significance attached to the African Continental Championships with Bayingana confirming a proposal for a road World Championships in the early 2020s. A 2020 Worlds has been previously mooted but a later date is the preference to ensure all bases are covered. “This is our dream. We hope it will come true. I don’t know when but we are studying how to become the first country to organise the Worlds in Africa. I think it will happen one day,” he said. The plan is for a city circuit around Kigali, and a finish at Stade Amahoro would be a fitting finish location for the road race due to its place in Rwandan history. For Bayingana the challenge of the course design is to also include the ‘Wall of Kigali, ‘ a 500-metre-long cobbled climb with pitches of 18 percent and an atmosphere equal to Dutch corner on Alpe d’Huez of the Muur van Geraardsbergen for example. “The Muur de Kigali we think is very amazing and very hard. We continue to promote it at future races and at the 2.1 level, it will be more popular with the professional teams. We plan to use it for the World Championships,” he added of the climb, known as Kwa Mutwe in Kinyarwanda. For Bayingana and Rwandan cycling, change is in the air. With added government funding from 2018, further investment from the likes of Skol, and the Africa Rising Cycling Center to identify and nurture talent, there is a strong and broad base for Rwandan cycling to ensure a successful and prosperous future. 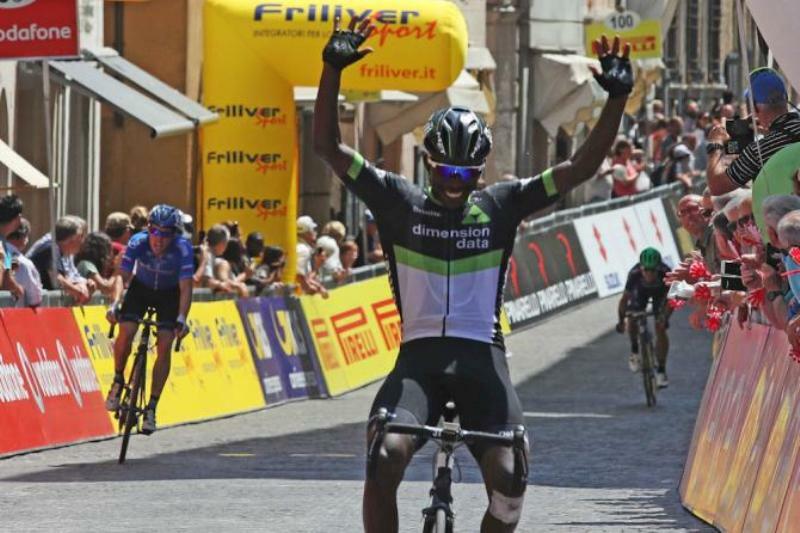 While the likes of Bernard Hinault have spoken of a future African Tour de France winner, the Rwandan fans are surely dreaming of one its heroes taking the rainbow jersey in Kigali. Paris can wait.